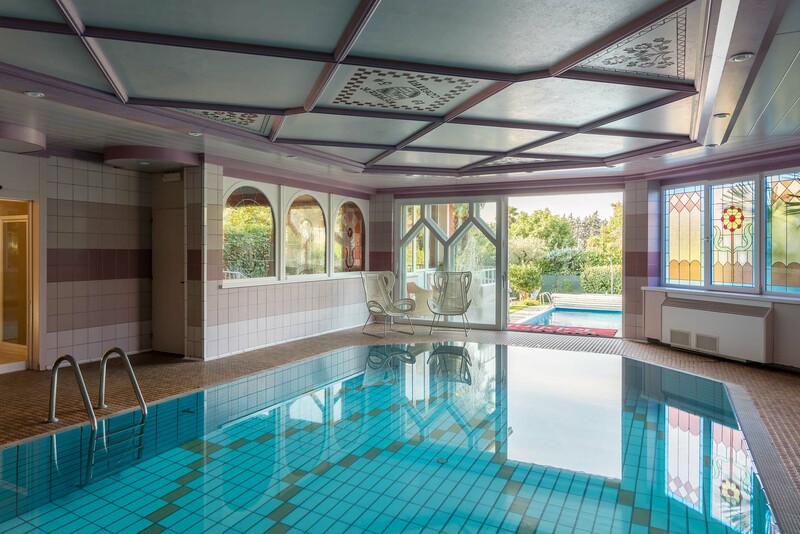 The 'Residence Toblini' garden is the perfect place to relax in the summer with a book or after a refreshing dip in the lake. 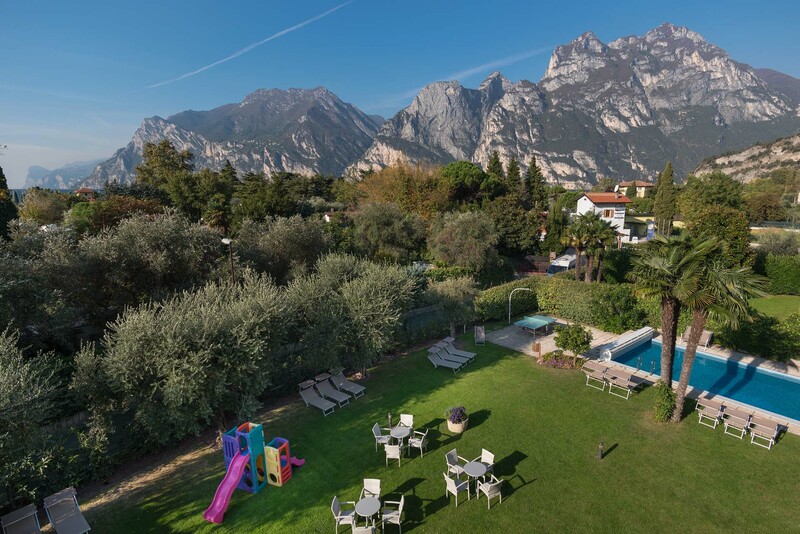 During your family holidays on Garda Lake, your children can play in complete safety in the expansive private outdoor area adorned with flowers of every colour imaginable, our residence in Torbole has also a playground with tennis table. 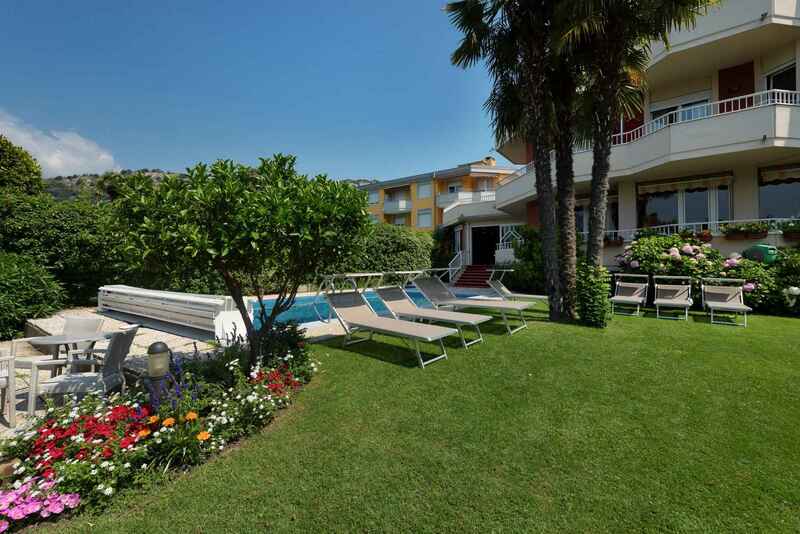 Adults are free to relax on the sun loungers and deck chairs in the shade of the olive trees or soak up the sun in the 10 x 5 metre outdoor pool. 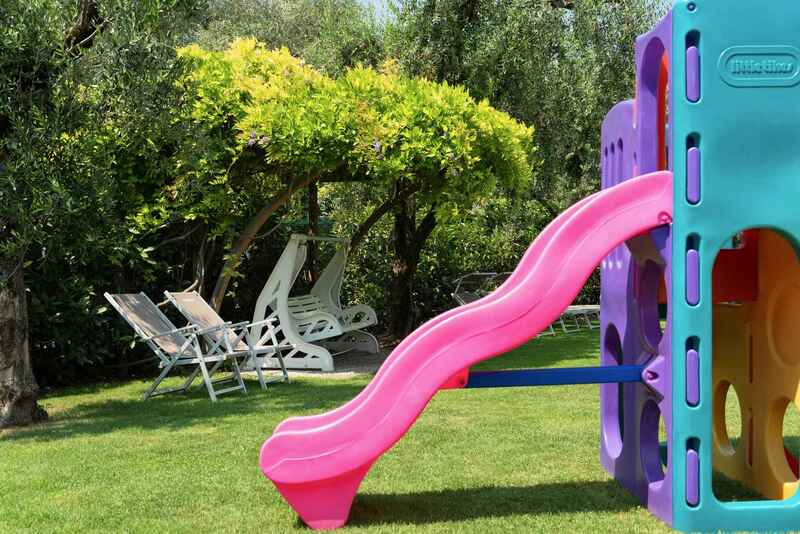 There is also a special shallow pool for children (water depth of just 45 cm). 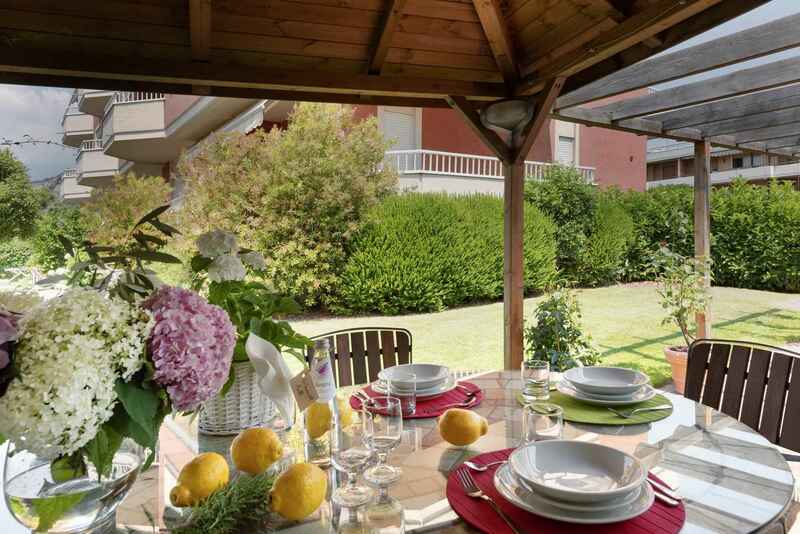 To make your summer holiday in Torbole on the shores of Lake Garda truly special, why not enjoy an aperitif in the garden, specially prepared by the Toblini family. Events like BBQs and group lunches can be held under the gazebo (subject to permission), after which guests can try their hand at 'Sapo' (a traditional Peruvian game) or relax on the swinging lounger with parasol. 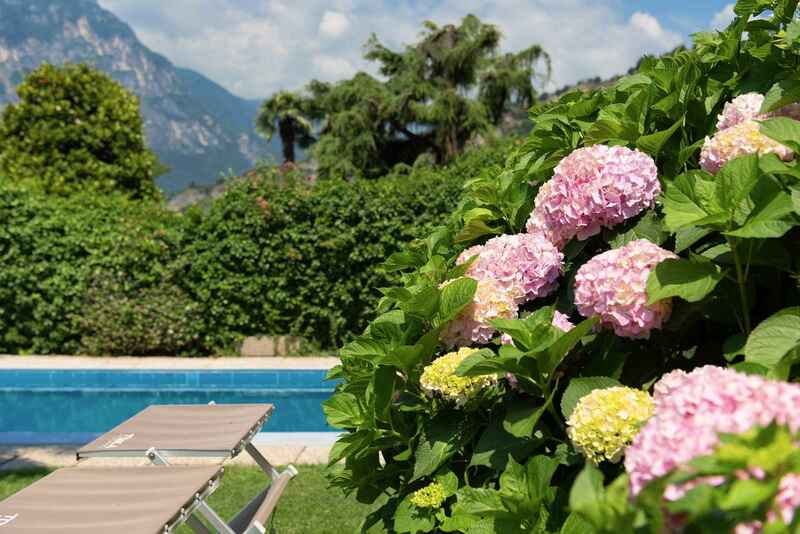 The holiday apartments lake frontview in Torbole also boasts a heated indoor swimming pool (27°C) with solar panels and a small sauna for even greater comfort and relaxation. The well-stocked bar overlooks the garden and is the perfect place to take a little time for yourself.